A surprising number of early baseball players in New York City were physicians, many of them graduates of the College of Physicians and Surgeons. Four members of the Class of 2019 at VP&S--including an engaged couple--describe their journeys toward medical residency. Critically examining art can help medical students come to terms with the role uncertainty plays when physicians make clinical decisions, a study suggests. An exhibit presented by Archives & Special Collections celebrates the artistry and creativity of illustrators employed at the medical center throughout the 20th century. 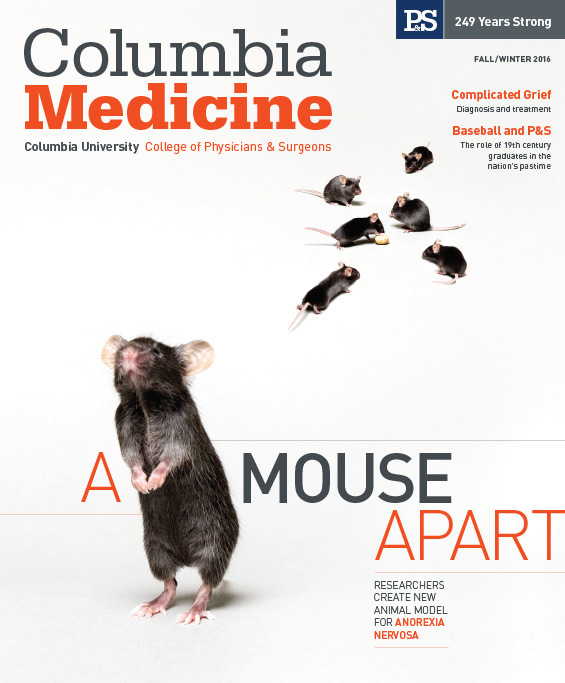 The Winter 2019 e-newsletter has news about Columbia's medical school, its students, and its alumni throughout the United States. The Fall 2018 e-newsletter has news about Columbia's medical school, its students, and its alumni throughout the United States. David McDonogh, denied a degree from Columbia in the 1800s, receives a posthumous MD at the 2018 VP&S commencement. The Summer 2018 e-newsletter has news about Columbia's medical school, its students, and its alumni throughout the United States. At graduation ceremonies in May, faculty members and students received honors in recognition of achievement and service. The Spring 2018 e-newsletter has news about Columbia's medical school, its students, and its alumni throughout the United States. Every year, medical students hold a memorial service to honor the cadavers they have studied in anatomy class. Read what a father who donated his son’s body told the students. The Winter 2018 e-newsletter has news about Columbia's medical school, its students, and its alumni throughout the United States. An 1845 P&S graduate spent 26 years in Sri Lanka, where he built a medical school. A postage stamp issued in 1998 honors his work there. The Fall 2017 e-newsletter has news about Columbia's medical school, its students, and its alumni throughout the United States. John Scudder, an 1815 P&S graduate, took Western medicine to South Asia. A postage stamp issued this year in Sri Lanka honors him. The Summer 2017 e-newsletter has news about Columbia's medical school, its students, and its alumni throughout the United States. The Spring 2017 e-newsletter has news about Columbia's medical school, its students, and its alumni throughout the United States. The Winter 2017 e-newsletter has news about Columbia's medical school, its students, and its alumni throughout the United States. The Fall 2016 e-newsletter has news about Columbia's medical school, its students,and its alumni throughout the United States.